The proceedings of the Third International SEECHAC Colloquium, held in Vienna in 2013, are devoted to the topic “Interaction in the Himalayas and Central Asia”. Divided into three parts – I. Transfer and Interaction in Central Asia and Tibet; II. Translation and Adoption of Art and Architecture in the Western Himalayas; III. 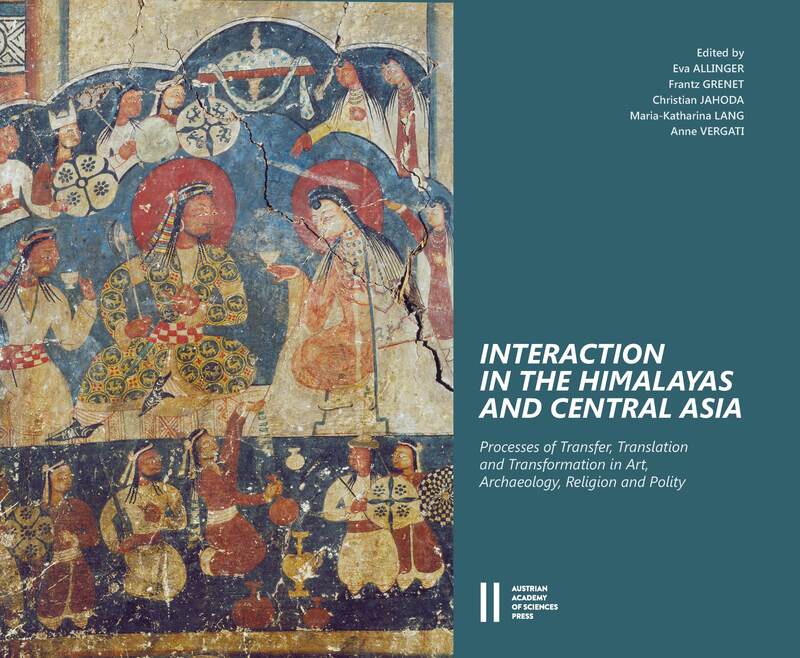 Patterns of Transformation in Tibet, Nepal, Mongolia and Central Asia – and preceded by an introduction by Christian Jahoda, past and current transformation processes of social, religious and material culture are addressed in 19 original contributions by experts from various fields of knowledge and disciplines including archaeology, architecture, art history and social anthropology as well as Central Asian, Mongolian and Tibetan Studies: Eva Allinger, Ágnes Birtalan, Isabelle Charleux, Quentin Devers, Marialaura Di Mattia, Lewis Doney, Lhagvasuren Erdenebold, Finbarr B. Flood, Hubert Feiglstorfer, Frantz Grenet, Amy Heller and Charlotte Eng, Christiane Kalantari, Maria-Katharina Lang, Marie Lecomte-Tilouine, Ciro Lo Muzio, Élise Luneau, Oscar Nalesini, David Pritzker and Tianshu Zhu. Der Tagungsband des dritten internationalen SEECHAC-Kolloquiums (Österreichische Akademie der Wissenschaften, 25.–27. November 2013, Wien) ist dem Thema „Interaktion im Himalaya und Zentralasien“ gewidmet. Nach einer thematischen Einleitung (Christian Jahoda) beschäftigt er sich in insgesamt 19 Beiträgen von internationalen ExpertInnen aus verschiedenen Wissensgebieten und Fachdisziplinen (u. a. Archäologie, Architektur, Kunstgeschichte, Sozialanthropologie, Tibetologie, Mongolei- und Zentralasien-Studien) mit Transformationsprozessen sozialer, religiöser und materieller Kultur in Gegenwart und Vergangenheit. Der Band ist in drei Themenkomplexe gegliedert: I. Transfer und Interaktion in Zentralasien und Tibet (Élise Luneau, Lhagvasuren Erdenebold, Oscar Nalesini, Ciro Lo Muzio, Frantz Grenet, David Pritzker, Tianshu Zhu), II. Translation und Aneignung von Kunst und Architektur im westlichen Himalaya (Eva Allinger, Amy Heller und Charlotte Eng, Christiane Kalantari, Finbarr B. Flood, Marialaura Di Mattia, Hubert Feiglstorfer), III. Transformationsmuster in Tibet, Nepal, Mongolei und Zentralasien (Lewis Doney, Quentin Devers, Marie Lecomte-Tilouine, Isabelle Charleux, Ágnes Birtalan, Maria-Katharina Lang).